It’s coming soon, the call of spring, or so it seems from the inbox filled with nursery offerings to a hall mat of plants catalogues and the tempting magazine promotions. It is hard to resist all that glorious colour and seductive close up photography when planting out pots for the summer, but spare a thought for the possibilities of semi permanent combinations that can give relief from the excruciating indecision that strikes at the garden centre when faced with trolleys laden with summer bedding. This year I am going to try and disconnect from the seasonal carousel of pot filling and autumn emptying. The aim is to get through a whole 12 months, looking good in Nursery parlance, not to mention cost effective too. The same rules of thumb will apply such as not exceeding 2 x the height of the planter with the filling plants, in an attempt to keep a balance. Having always gardened with Hellebores I never fail to be impressed by the year round good looks of the Hellebore H. foetidus ‘Westerflisk’. It has lustrous deep cut leaves and closely held acid green flowers at a time when most else in the garden is still asleep. 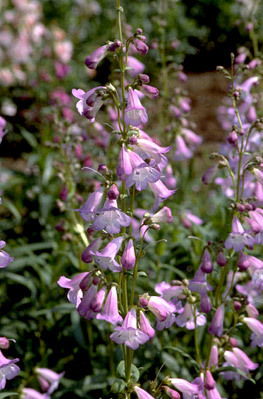 To a few of these add the perennial wallflower Erysium ‘Bowles Mauve’, that if allowed flowers nearly all year. Hebe ‘Mrs Winder’ whose elegant maroon new leaf growth provides good tonal contrast will also capitalise on the purple hints and it’s accommodating bun shape can be kept in line with gentle trimming offering good solid texture. More plummy purples reds with Heuchera Plum pudding, its large ruffle rosette leaves contrasting with the finer fingered Hebe and Erysium. All this is accommodated in a roomy trough with plenty of depth for the root balls. As I know I will be unable to resist I can add a seasonal oomph with white and pink Cosmos, giving more height and an ethereal floatiness. One should see bulbs as hidden treasure in this context. Content in the knowledge that once planted they can be left to their own devices to emerge the following year, joy of joys for the time pressed. I am a fan of the diminutive branch of Narcissus family. Their little petite heads and inoffensive leaves once they have finished flowering make them very appealing in a mixed planting. 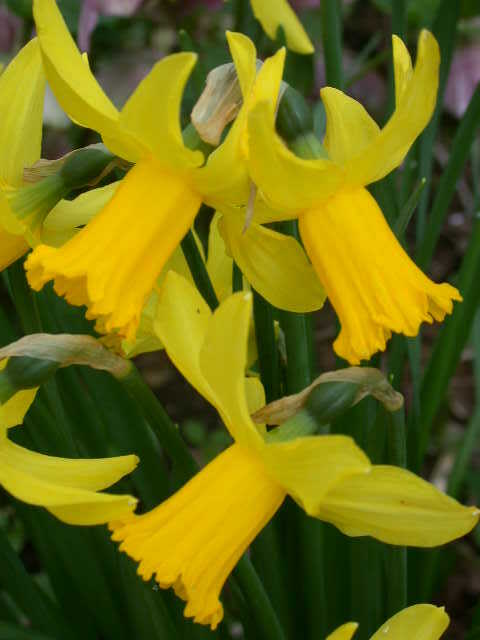 I have year on year success with the early March/April flowering Narcissus’ Jenny’,’ Jetfire’, and ‘February Gold’, then ‘Thalia’ and ‘Ice Wings’ with their white flowers in April. Last but not least the gorgeous multi headed butter yellow Jonquilla Narcissus,’Babymoon’ and the rounded golden yellow flowers of ‘Sun Disc’. Moving into May the baton passes to the Allium tribe. How easy are the Allium hollandicum ‘Purple Sensation’ in giving height to a planting and offering structural seed heads as they fade? This family has a whole host of members willing to do sterling service; the range seems to get bigger year on year. Most reliable favourites are Allium Caeruleum ( syn. Azureum ) with pretty sky blue pom poms in June and July and Allium Cernum, with its cerise pink pendulous nodding heads in July and August. Another mix that appeals has a looser structure. The ever obliging Amanethele lessoniana (prev. Stipa arundinacea) an evergreen easy going fountain shaped grass with olive green, fine width leaves, burnished with copper and red in winter provides a good backbone. It has a cascade effect and adds a sense of movement. It would contrast well with another Erysium ‘Apricot Twist’ and the broad sword like leaves of Phormium ‘Alison Blackman’ painted with cream, brown and orangey tones. Another year round mix to try is Skimmia x confusa ‘Kew Green’ with creamy scented flowers that have a long flowering period in winter, married with Euphorbia characias ‘Blue Wonder’ a dwarf blue tinged evergreen Euphorbia ,under planted with spiky Festuca ‘Elijah Blue’. That’s 6 months of the looking good taken care of and the summer flower power can be provided by the delicate lavender and white flowered Penstemon ‘Alice Hindley’ , at whose feet nestles lilac blue Viola cornuta ‘Boughton Blue’. Both have great staying power for the summer and a final shot of purple to run through the mix is the shorter Verbena stalwart V.bonariensis ‘Lollipop’. As for those glorious pots that are happy with single specimens just a few it may be worth considering as they are such good ‘doers’. The bun shaped Pittosporum tobira nanum with its lovely scented flowers in May-June if grown in sun has pleasing form. Another sun shine contender Coronilla Valentina ‘Citrina’ has scented pale lemon pea like flowers for 10 months of the year. In conclusion a small plug for the stalwart topiary. The little black dress of the horticulture world it’s never going to let you down: as my life sized peacock housed in a giant cast iron boiler pot at my back door reminds me, raising a contented smile with its well groomed looks all year round. We are taught that planning a garden begins with structure and a lot of this is in the strength of the design or shape and the location of the structural plants and the evergreens and evergreys creating a pleasing display throughout the year. March is here and the ground is just beginning to erupt with plants but all through the winter and spring months to have structure and colour of a different kind is so valuable. Copper coppers make the most wonderful planters. Even on their own they have this magical blue/green verdigris colour which brightens any winter garden. Statuary too really comes into its own too through the cooler months. Shapes picked out in frost and snow or siloetted against the low winter sun. A staddle stone in a flower bed adds great interest and again is wonderful in the snow or frost. Decorative ironwork also shines out. A simple gate or gateway can really provide something decorative with the outline of the shapes emphasised in a haw frost. A nicely shaped bird bath not only looks good but is functional too. The classic shape of a sundial is pleasing through the full 12 months of the year. 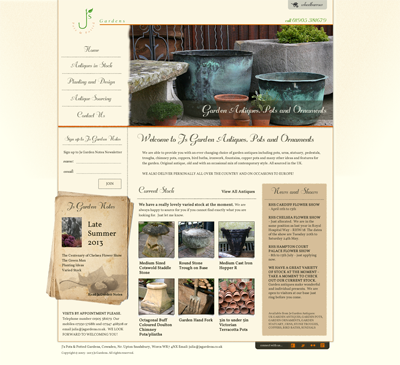 J's Pots & Potted Gardens began 10 years ago doing just that - individual pots and containers - antique and contemporary and the planting of 'potted gardens'. We still do both of those things however the way we have evolved over those years has moved us into sourcing a much wider variety of garden antiques, pots and ornaments and we feel that our name should now reflect that evolution. We will feel the same and look the same and it may be that few will notice the difference, however we are changing our name to J's Garden Antiques, Pots & Ornaments. Some things however never change! We are well into another year at our (nearly) new base in Cowsden, Worcestershire. resident and visiting ducks are now sitting again and it wont be long before they increase their numbers and we will yet again be surrounded in little tiny balls of fluff! I carry memories with me from one garden to the next through plants that have come from special people, places or times. There is something about your garden isnt there? We are booked in again to exhibit at the Chelsea Flower Show. Our first year there was 2004 so we begin another decade of being part of this amazing show. We just love it and look forward to seeing you there. We are in the same place as last year in Royal Hospital Way - about half way down, almost opposite the gardens for Help for Heros and Oxleys. Stand location still to be announced. Last summer I was lucky enough to go to one of the few openings of the gardens at Thenford House near Banbury. If you do get the chance to go, I would highly recommend it. These are the gardens of a real enthusiast. They are beautifully designed and very special. I wish I had had a lot longer to spend there. The arboretum is full of real treasures and as you move round the garden, you move from room to room, each part full of surprises. I found the experience to be an inspiration. Something exciting at every turn or view. 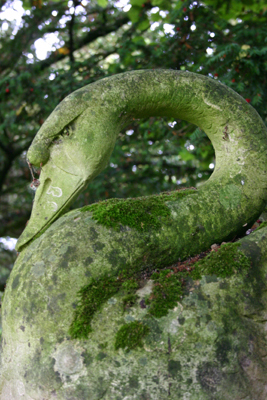 The garden features not just a wonderful array of plants and planting but sculpture and statuary - old and new, fabulous gateways created from antique architectural stone doorways, bog gardens and cascading water. There is a very unusual trough garden too, full of English stone troughs of varying shapes and sizes mixed with ironwork and cider mills. It is the home of Lord and Lady Hesletine. It was a real privilege to be there and I cannot wait to go back. Do come and visit us at our base - see our complete and ever changing stock - we look forward to welcoming you.